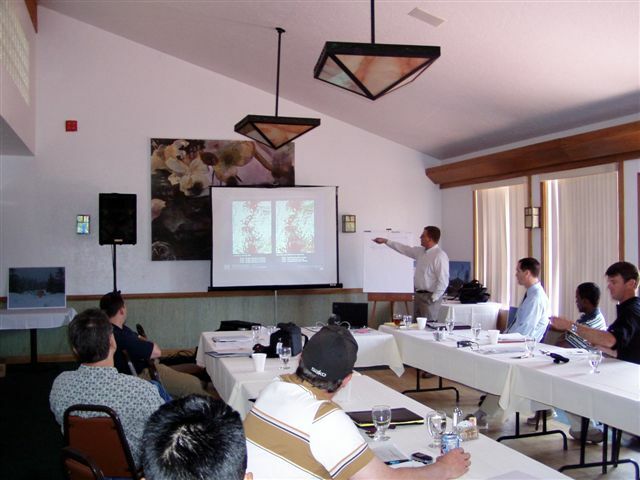 This presentation provided a design primer on fiber optic networks using the Fresno metropolitan area as a case study. 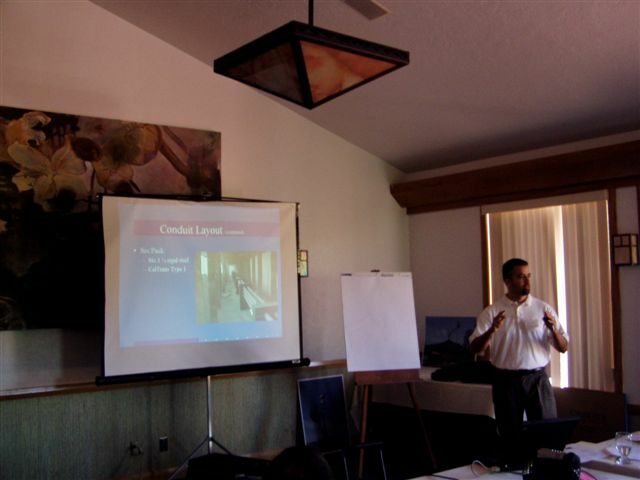 The presentation discussed conduit layout, fiber optic system components, and network topologies. Jose De Alba, Caltrans District 6, talked about fiber optic network/topology design on state highways. This presentation discussed the implementation of microwave for supporting ITS communications in District 2. It discussed why microwave was used for this application, how the microwave system was designed and developed, system frequency planning, path calculations, and reliability objectives. 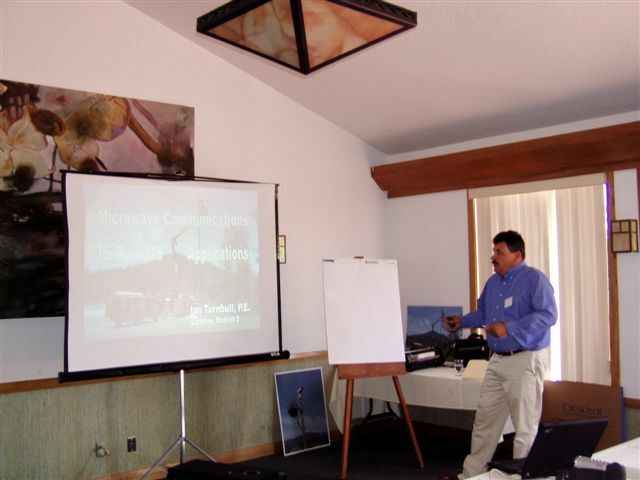 Ian Turnbull, Caltrans District 2, talked about microwave communications for rural ITS applications. This presentation discussed a “proof-of-concept” mobile data communication system for use on any roadway, particularly in remote rural locations with little or no communication infrastructure. It provided a detailed summary of the analysis techniques, findings and their consequences, and resulting implementation decisions. 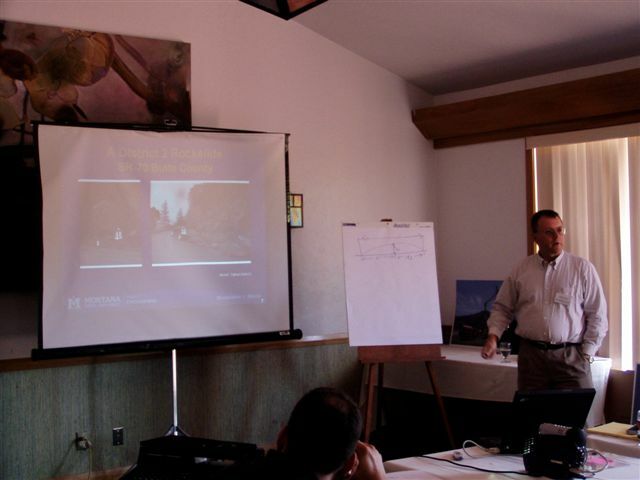 Doug Galarus, WTI, discussed the Redding Responder Project as a potential solution for more efficient and effective incident management in rural areas. 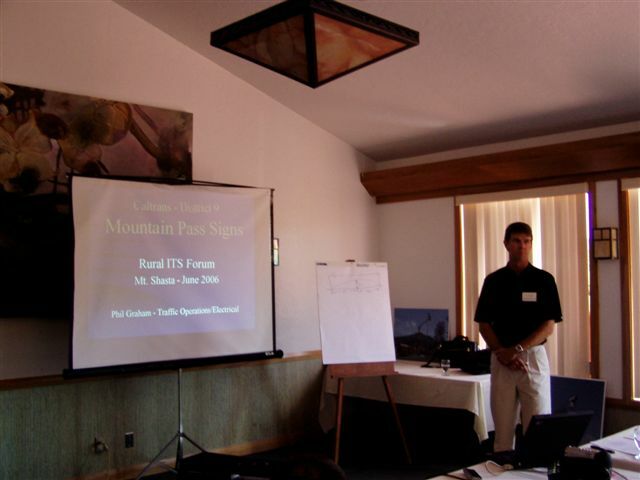 This presentation focused on a project to provide remote control of signs which indicated whether certain highway mountain passes were open or closed. It talked about system challenges, subsystem requirements, communications and power challenges, and lessons learned. Phil Graham described Caltrans District 9’s mountain pass signs. This presentation talked about how to design a system to control a remotely located ITS field element using a web browser and carefully selected commercially available hardware components. The presentation covered the requirements and challenges associated with various system components, and issues regarding latency and integration. 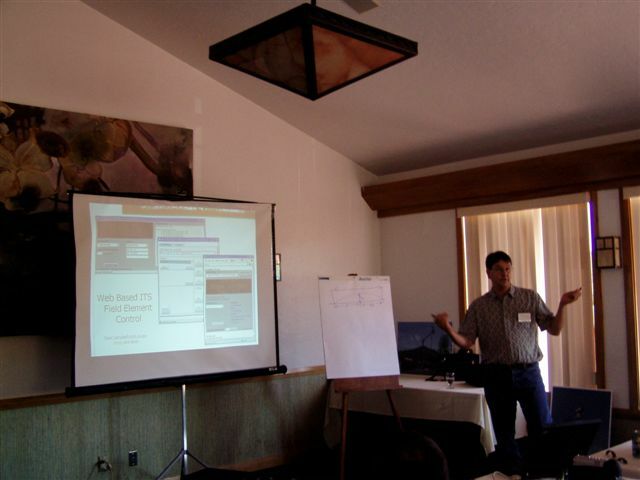 Sean Campbell, Caltrans DRI, discussed web-based ITS field element control.